Hi readers, Christmas is coming real soon. Let’s start planning your Christmas outfits. Today’s article covers unique sweaters for holidays and cool headgear to keep you cozy and happy. Read on for 9 Christmas outfits for him and her. 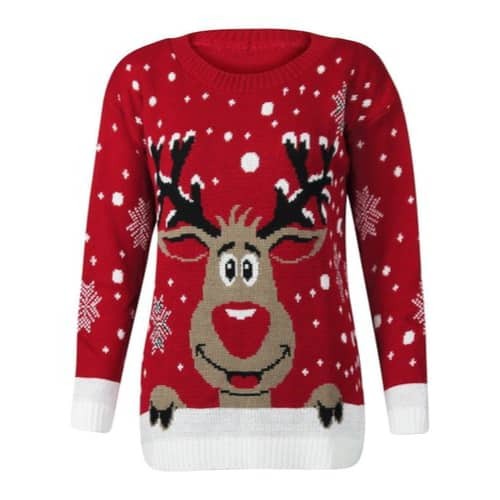 Red and white eye-catching sweater with hilarious design. Trio of reindeer doing “dirty” surrounded by snowflakes. 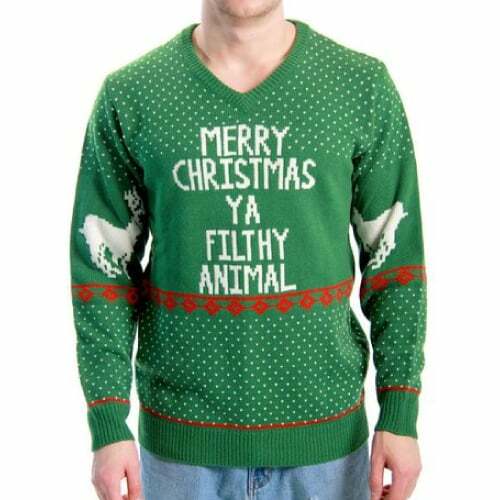 Makes a great sweater for your upcoming ugly sweater party. Made from good quality material that is soft and stretchable. This piece will make the guys feel embarrassed to wear. 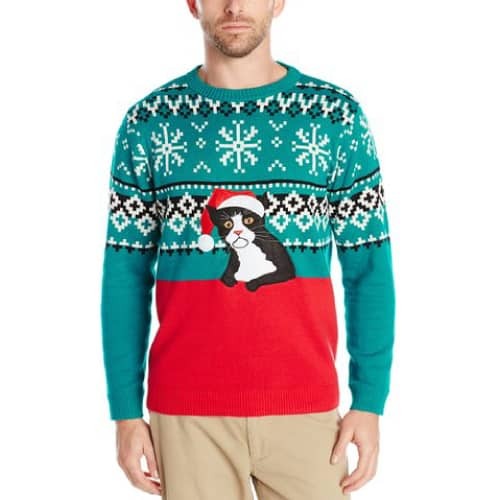 Looks like grandma’s sweater with an ugly kitty sitting in the middle. Another fun piece that features the most memorable quotes from Home Alone, “Merry Christmas ya filthy animal”. 100% cotton. 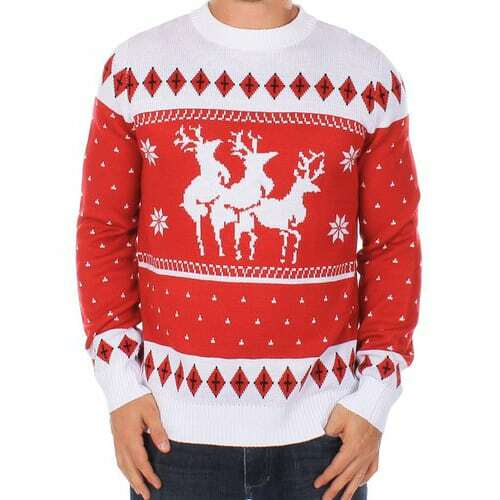 A cool sweater that both men and women love. Lovely Christmas outfit for her. Featuring adorable Rudolph sticking out his head, and snowfall as the background. Also available in black. Christmas outfit that is comfy and soft. A team of 3 nutcrackers with funny gesture and facial expression. 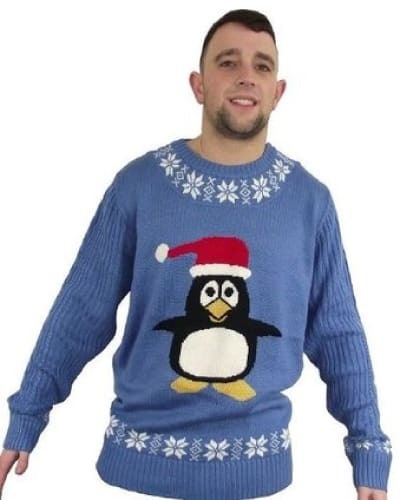 Penguin sweater in blue. Covered with snowflakes around the neck, cuffs and hem. A charming outfit for him. Fun and inexpensive Christmas outfit. 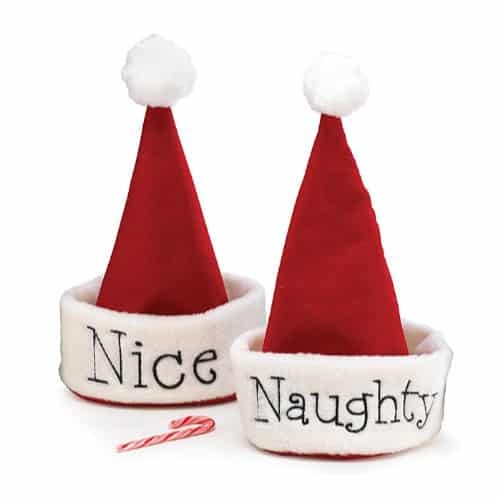 Unique Santa hat that is hand stitched with “nice” at one side, and turn around to show “naughty” at another side. Get a good laugh this Christmas with this plushy cute hat. 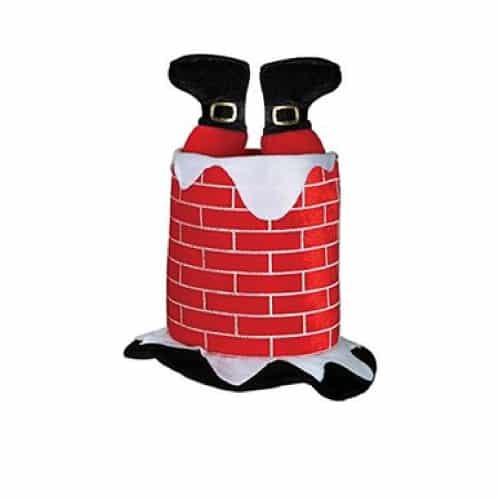 Santa stuck at chimney. Gonna be a big hit! 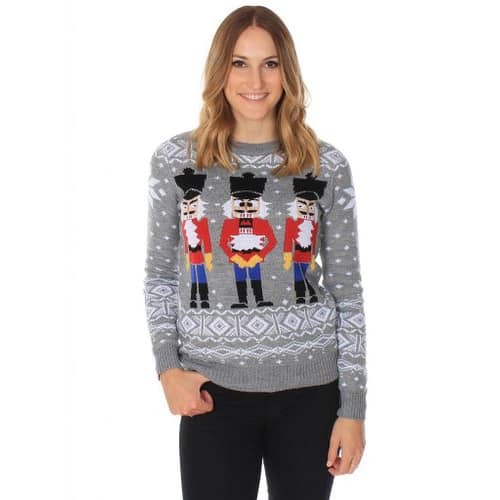 Fantastic Christmas outfit for both girls and guys. Based on Dr. Seuss’s Grinch character. Features his green hair and a pair of evil eyes. That’s the list of 9 Christmas outfits suitable for girls and guys. We hope you like it! Thanks for reading.